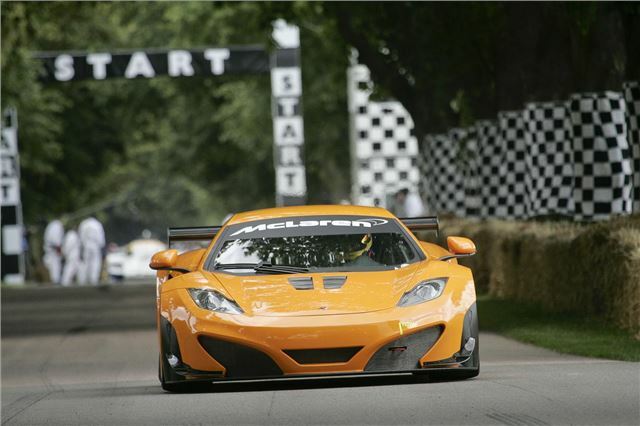 The Goodwood Festival of Speed, which runs from 28 June - 1 July) has announced that 60 entries will take to the hill this year in the Supercar Run, including some that have never been seen before. Cars set to make their world and/or UK dynamic debuts will include the Bugatti Veyron 16.4 Vitesse, Infiniti EMERG-e, Bentley Continental GT Speed, Maserati GranTurismo Sport, and many others. A number of UK debuts will also take place in the First Glance class at Goodwood, with brand new models located on the Cricket Pitch, and expected to include the new Toyota GT-86, Savage Rivale, Vauxhall Astra VXR and Infiniti FX Vettel (Sebastian Vettel himself on Saturday 30 June). In all, as many as 60 of the latest supercars and first glance cars will be in action on the Hill, which will certainly be a feast for the senses of the expected 180,000+ visitors to the Festival of Speed and Moving Motor Show. Amongst the more uncommon supercars making their British dynamic debut will be the GTA Spano from Spain, the de Macross Epique GT1 from South Korea, the Zagato-bodied AC 378 GT, and the new Morgan Plus 8. Goodwood promises that there will be a few 'surprises' too.